Since the invention of the mobile phone, SMS (short message service) has become part of our life as an alternate method of communication other than the phone call by sending or receiving the message from one mobile device to another. With further improvement in mobile technology, people can send web-based text messages from their computers to other mobile devices or vice versa. How Web-based SMS works by utilizing the SMS gateways that allow users to send or receive text or images messages using software like WhatsApp and Facebook messenger online. When it comes to organizations, web-based SMS are used for other purposes such as customer service or marketing reason. 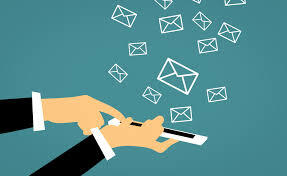 But instead of sending/receiving the message from one party to another, SMS can be sent in bulk to a large group of people for business or commercial purpose. A good example will be the use of bulk SMS messaging in call centres to relay messages to a huge group of intended recipients. This type of application-to-person SMS services can be classified by single messages, interactive messaging or incoming number services. Bulk SMS messaging which is web-based in nature provides solutions for business and can come in the form of the mobile phone application, software program, web interface or integrating the SMS API to the company’s website or system. By interface the solution with a service provider’s SMS gateway, this ensures that the messages can be delivered to any mobile number around the world. To explain further, SMS gateway serves as a relay between the wireless application service provider (companies that provide the web-based SMS software) and the mobile network operators (local Telco companies) to allow the access of SMS network traffic to distribute and establish a direct connection to the SMSC (Short Message Service Centre) that belongs to mobile network operation and link the SMS to the recipient’s mobile phone number. There are many benefits of using the web-based SMS for business regardless of any industry. Especially in call centres which the call agents need to handle a large volume of incoming calls and SMS messaging proves to be an efficient method to relay information to the intend callers as and when required. All Touch Virtual Contact Centre is a full-featured, enterprise-class contact centre product which not only provides web-based SMS services but also other call centre features to local companies in Singapore and other countries. Managed by Converged Solutions, a technology company that develops and deliver unified communication applications. They provided cost-effective software solutions that allow the company’s employee to utilize the software efficiently for sending web base SMS or bulk SMS to their client with ease.